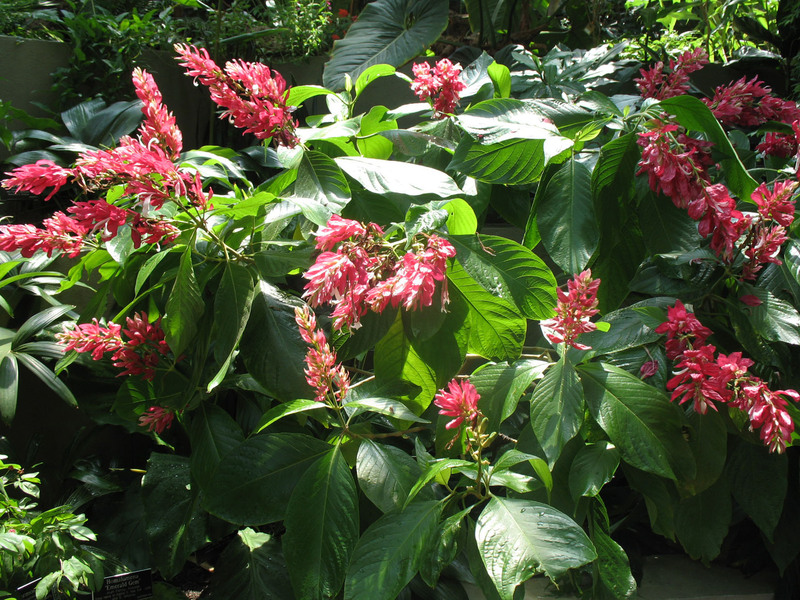 Comments: A shrub-like tropical perennial that has small white flowers surrounded by flaming red bracts (sometime pink) that are the showy part of the blossoms. Plant has to be well established, generally 2 or more years, before flowering occurs. Deadheading spent flower branches helps controlling the size and keep the red cloak cleaner looking beautiful. Hummingbirds are atracted to its nectar. Mealy bugs attack this plant.